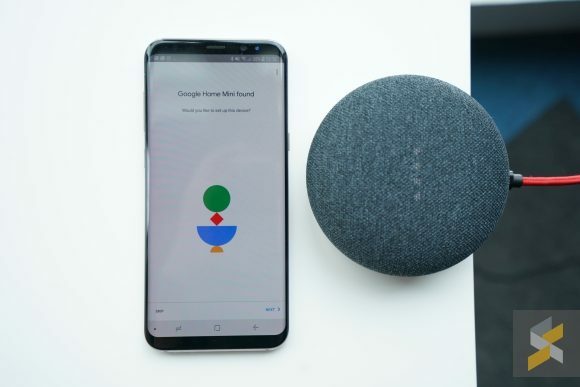 I’m really happy Google’s now making hardware because if there was any company with a taste for what good products should look and feel like, it’s everyone’s favourite search engine. 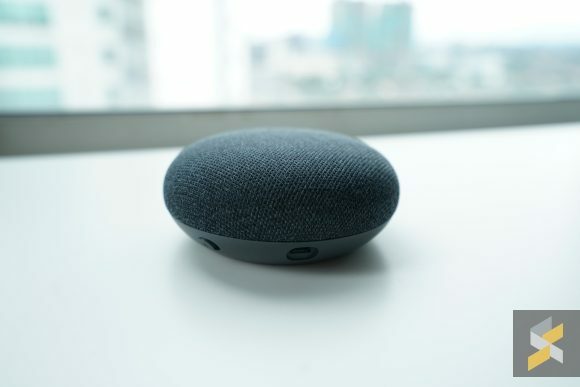 One of their latest products is this guy, the Google Home Mini and it’s the cutest smart home device I’ve ever seen. 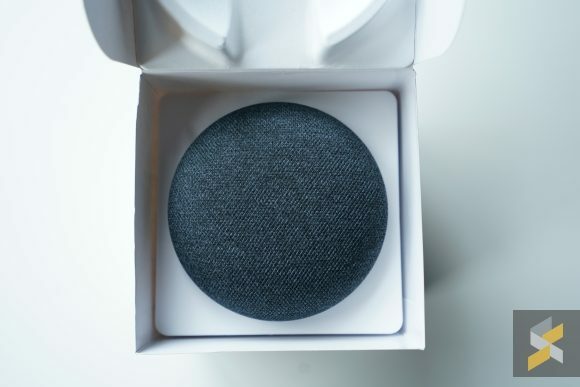 The Google Home mini’s box looks decidedly Google-y. It’s simple, clean and functional. If I had one complaint it would be that it isn’t super sturdy. 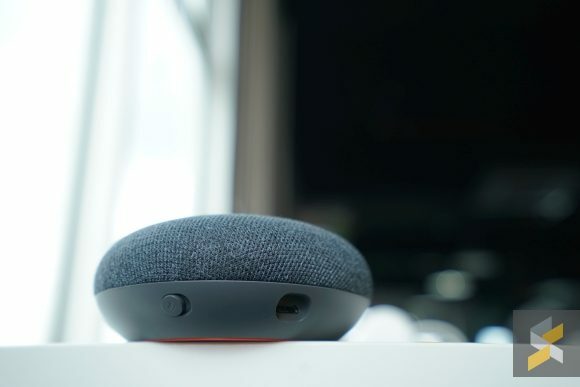 On the side, you get a quick look at some of the supported apps on Google’s smallest smart home solution. 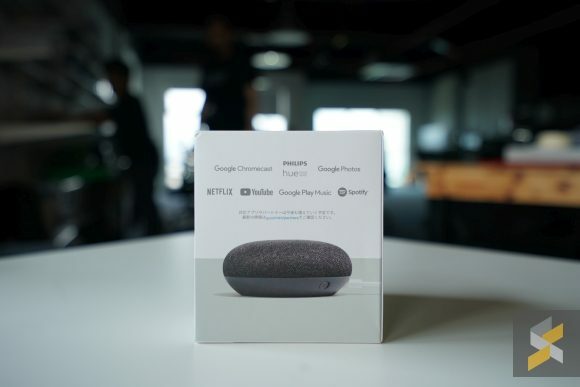 The Google Home Mini isn’t officially available for purchase here in Malaysia so when we saw it during a colleague’s trip to Japan, we had to pick it up. After conversion, we paid a little over RM200 for this guy. 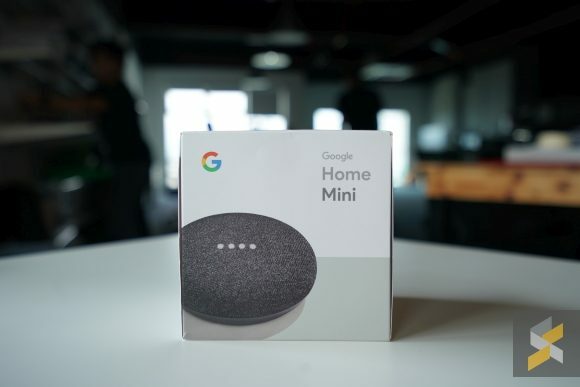 Pop the lid and you’ll be greeted with the Home Mini itself. Ours is the one in Charcoal and it looks really good. 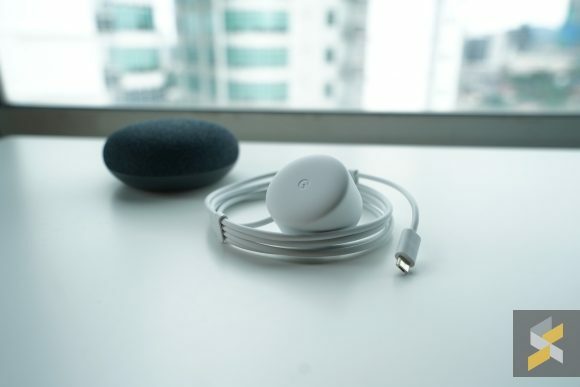 Remove the Home mini and you’ll be greeted with the charging brick and cable. It’s rated at 5V/1.8A and is 1.5m long. For a device that needs to be constantly plugged in, we would have liked to see a longer cable. 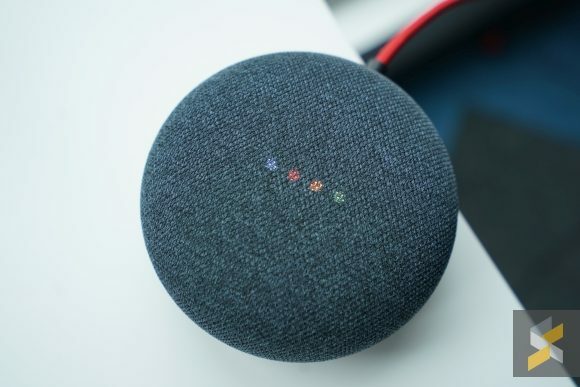 It’s a bit of a bummer that the Google Home Mini still uses a microUSB port. But since this device is designed to just sit there plugged in, I don’t think it’ll be too big a deal. 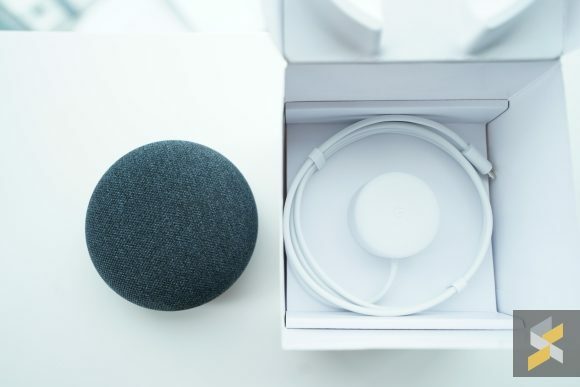 When Google said this thing was the size of a donut, they weren’t kidding — this thing is tiny. 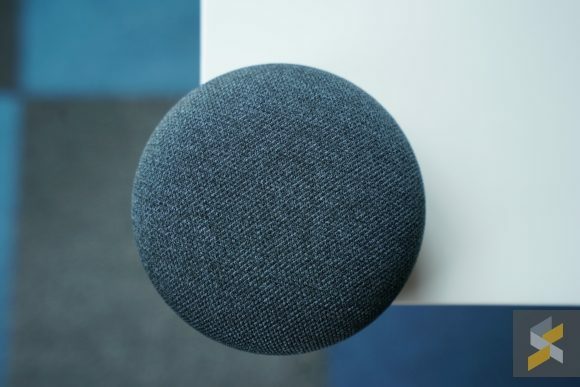 It really looks like a stuffed donut. This charcoal colourscheme also helps it blend in with pretty much any kind of decor. The fabric is soft but not super plush. It’s like a pair of well-worn jeans. 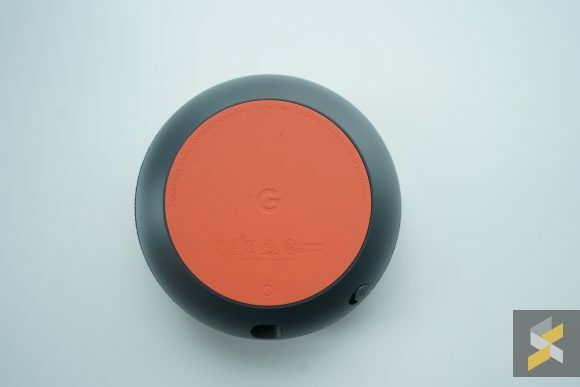 At the bottom of the device is a very grippy patch of orange that acts as its foot. Once you’ve got it on a desk, it does really well to stay put. 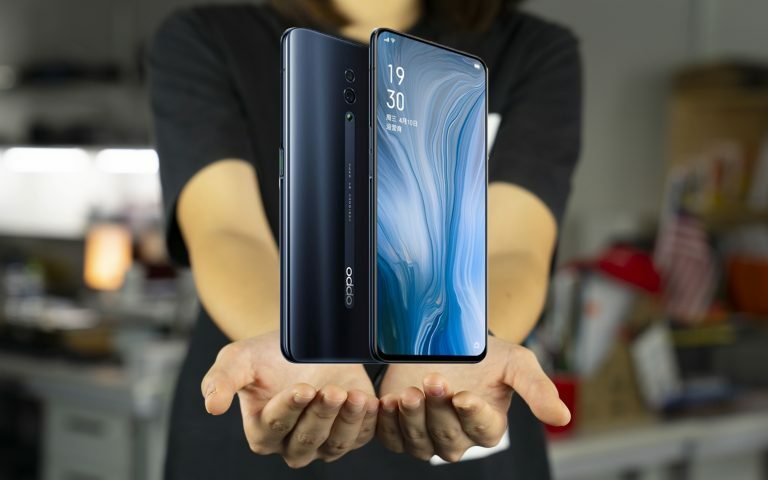 Besides the mute toggle and microUSB port, there’s no other physical feature on the device. You control volume by tapping on the left and right of the Home Mini. 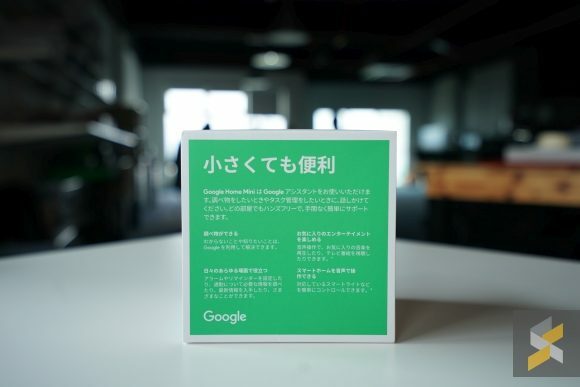 Pairing is done via the Google Home app which can be downloaded on your smartphone. Here you can set up your default playback devices, create smart home groups and adjust various settings for your home ecosystem. It’s pretty intuitive and easy to use. 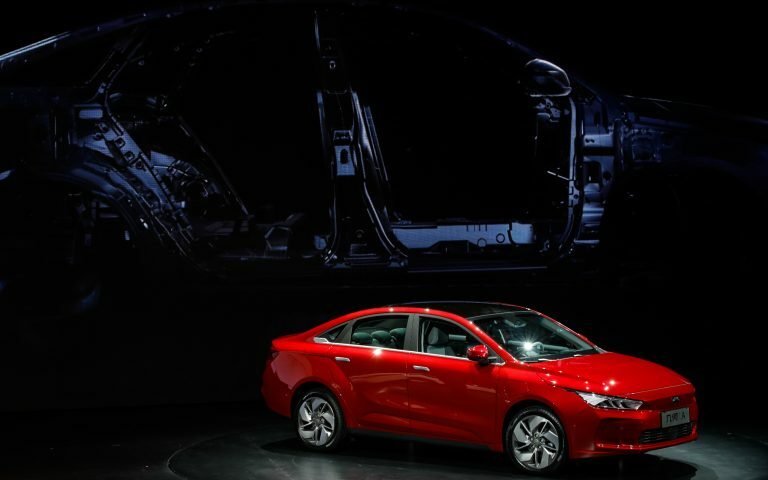 Pairing was also effortless and you can invite guests to use the Home Mini too.